Color is known to have a psychological impact on the productivity of your employees and the buying behavior of your customers. In fact, using the color blue strategically throughout your business not only helps keep employees alert but also makes consumers feel they can trust you. But it’s important to remember that the colors you choose to paint your business can have an impact on other factors as well. Like your business’ energy efficiency. How does paint color impact energy efficiency? Dark paint colors can absorb between 70% and 90% radiant energy from the sun. This means that the rooms (or even the outside of your building) with these paint colors will stay warmer throughout the day. This might seem great during the cooler months. But during the summer it can rack up your energy bills because of how hard your HVAC system will need to run to keep the building cool. What colors are recommended for painting? It’s true that lighter colors reflect heat, which can help your business maximize its energy efficiency. But dark colors aren’t always bad for your business. For instance, darker colors can still be energy efficient when placed in a room that has no exterior walls and fewer windows. 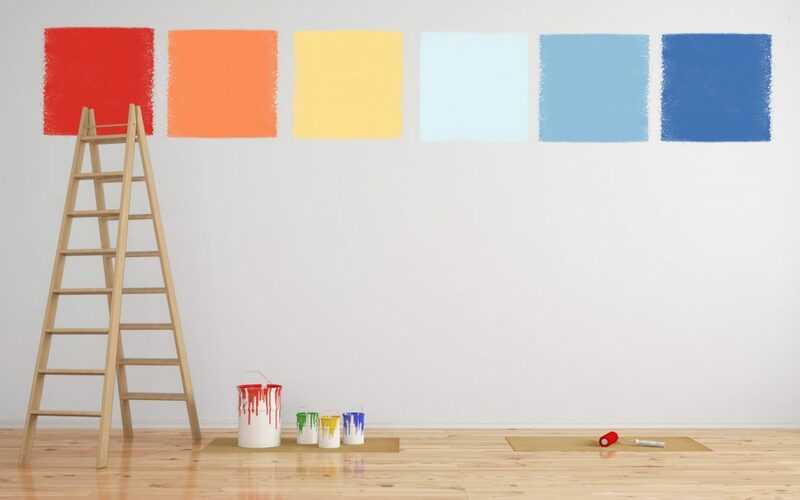 But there are many other factors to consider before choosing a paint color for your business as well. Darker colors can make certain rooms feel smaller whereas lighter colors make the room feel larger. Additionally, employees and consumers may feel more at ease in rooms that are lighter in color but warm in tone. This is because the lighter colors can make your business feel open, bright, and inviting. If you do decide to choose darker paint colors for your business, it’s recommended that you use the right shades on your windows. Black-out shades can help keep the heat of the sun from being absorbed into your office space. Who can I call for air conditioner repair? Everyone needs to keep cool during the summer months and warm in the winter. That’s why the HVAC industry has grown 2.6% every year since 2012. Whether you need an HVAC repair or an air conditioner installation for your place of business, Even Temp is the HVAC service Wichita Kansas knows and trusts. To learn more about our HVAC system installations and repairs, contact the HVAC service of Even Temp today.